We’ll be upfront with you, SMIK SUP boards are made by the boss’s brother. We might be biased, but we think these boards are some of the best out there. They’re stylish, simple, performance oriented boards of the highest quality. Designed to enjoy the vast beauty of Australia’s aquatic landscape. Be it a beautiful river, playful beach or a powerful reef-break, these boards are right at home. Constructed with COMPRESSSION MOULDING by IQC producing accurate and MORE DURABLE shapes. Bamboo deck PVC reinforcement to standing area fin box and leash plug. Additional reinforcement to high impact areas of rails, nose and tail. Durable paint resistant to chipping and general wear. 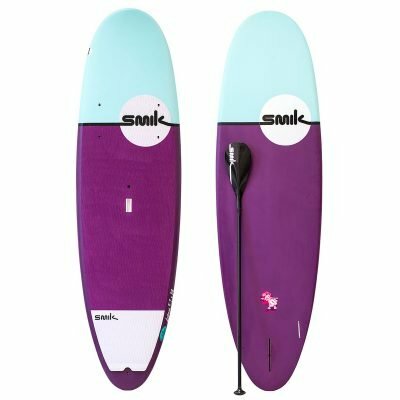 8’3″ x 29.5″ – (111 L) Slightly fuller nose outline provides added stability without compromising turning ability, 75-90 kg rider. 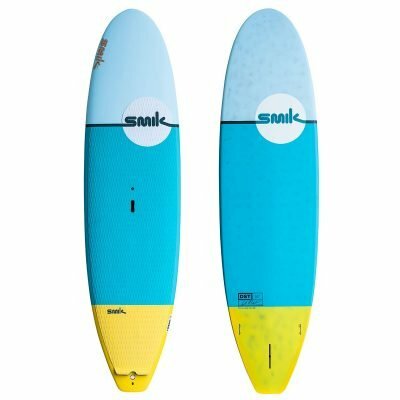 8’8″ x 31.5″ – (132 L) Short board performance shape scaled up to larger proportions, 85-105 kg rider. 9’5″ x 32″ – (155 L) Spitfire performance for the XL Rider wanting a little extra glide.